In the region of Bucovina, North Romania, the folk apron is a straight piece of cloth, woven on a loom, wrapped around the waist and fastened at one side. It is held in place with a fabric band (bată). People here are used to call it catrință, but actually, this is a fotă. This type of traditional skirt is found in the Carpathian mountains, in Bucovina, western Moldavia, northern Muntenia and south-eastern part of Transylvania. They are usually handmade by a rural textile artisan. This loom weaver is working on a wrap round skirt from the village of Iaslovăț, Buovina. The wrap around skirts are being worn in cold climate regions of Romania. Being rather archaic in cut, the center of interest is their ornamentation. When people got together for regional fairs, one could tell their origins just by looking at their traditional skirt. All skirts have upper and lower borders of different colors, that look like rainbows. Being dyed by means of vegetable dyes, such pieces would last for a very long time. A peasant woman would wear one for 20-30 years, even longer, and this is the reason why the borders had different colors. 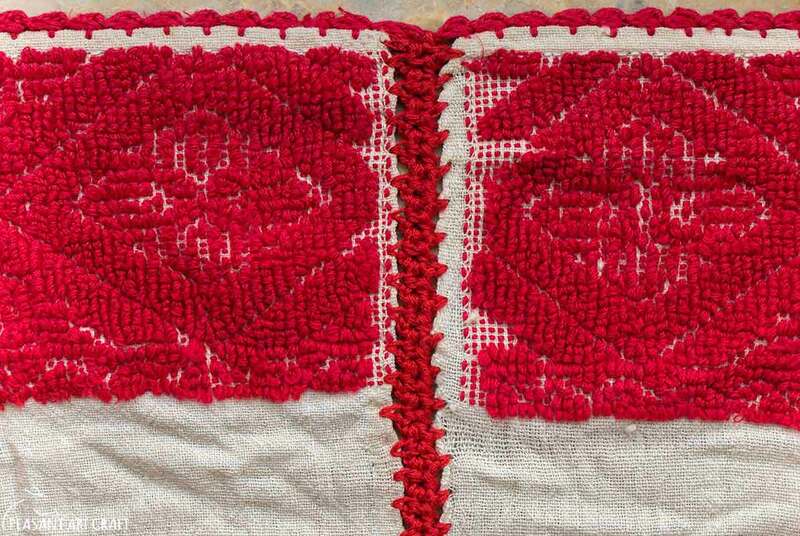 A young woman would wear a folk apron with bright borders, usually red. As she would grow old she had to change the bright color with darker tones, which were specific to old ladies (brown, even black). Despite the apparent similarity between the motifs, the groups of vertical stripes are different from a village to another. There are also age-related differences in choosing the weft colors. Younger women and those who get married will choose bright colors. They would manually cut the wool from sheep with scissors, then take it to the creek and wash it, dye it, sort, break and card it. The silver and golden weft thread used today are actually reproductions of the genuine metallic threads that one could find in the past.